Great history lesson! I have some Celtic Sea Salt and some pink salt that I used to cook with. Those trace minerals are so important! Thanks for posting about it. I’m going to reblog over on The Portugal Years. Have a great week! Hi Susan: we’re glad you liked our post. 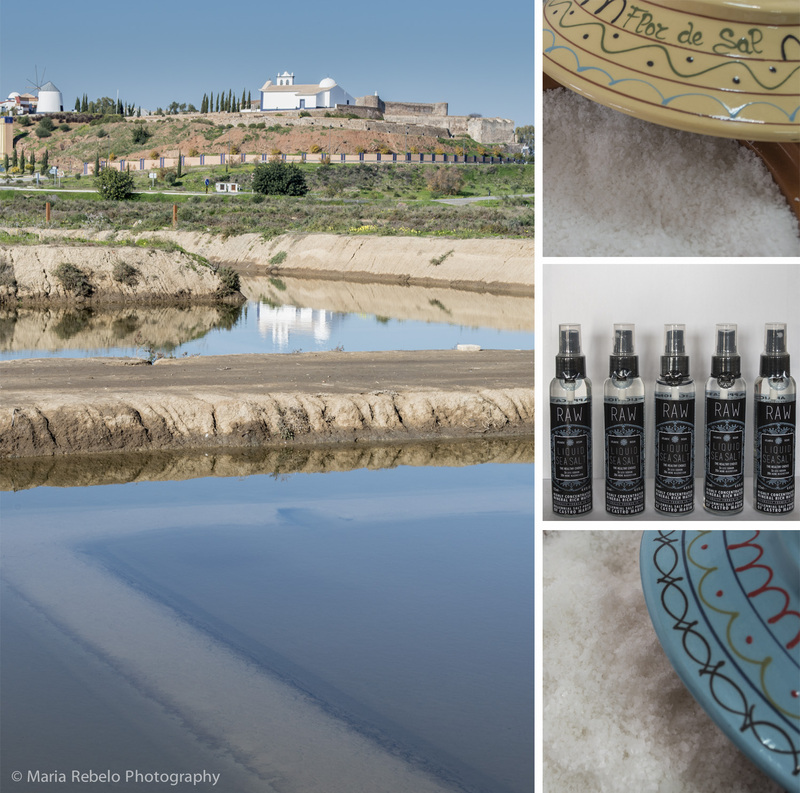 Castro Marim is an amazing place and their salt is truly extraordinary. It is important to note that, while our “tissue fluid” composition (a very poorly defined term) may be similar to that of sea water, the salinity of sea water is much higher than that of bodily fluids like blood, which is why it is not a good idea to drink sea water. Hi Mark: thanks for the clarification! In my complete ignorance of biology I have been mesmerized by the idea that we are like the sea. Edited the post, introducing the word “resemble” for a slight improvement of accuracy. Still continued to avoid words like interstitial. Thank you for this information. I am going to check online where I can get Castro Marim salt. Thanks also for the tip amour Green Sardine! Besides this cooperative there is also an independent artisanal producer Jorge Raiado whose company http://www.salmarim.com/cms/#/home-1/ still harvests the local salt by the same methods as the Romans did those 2000 years ago. Hi Rupert, thanks for the tip we’ll be sure to check him out on our next visit! O colega tirou as palavras da minha boca… a flor de sal da “Salmarim”, em minha opinião, é a melhor que já provei. Eles tem diversos produtos, do tradicional ao inovador. Agrada-me, particularmente, a versão em cristais no formato de pequenas pirâmides, nos mesmo estilo do sal de Maldon, porém, obtido por um processo de domínio dos elementos do clima, ao invés da cocção em caldeira como fazem os ingleses. Caro Bruno, obrigado pela sugestão, vamos tentar visitar na nossa próxima viagem. Really fascinating article. I have seen the salt being harvested from natural ponds in the south of France, but never in Portugal. I agree it is important that what we eat and drink is as pure and good quality as possible. It is humbling to see how much passion the people who harvest the artisanal salt put into what they do. Wow, the history lessons here. Great entry, lovely pictures – and the salt sounds fabulous. Liquid salt?! Who knew! It is indeed amazing salt! -there’s also a SPA now (http://www.cm-castromarim.pt/site/modules.php?op=modload&name=News&file=article&sid=4943763) I think it only oppened this Summer. Thank you for visiting the blog. We heard about the Spa and we cannot wait to visit it! Reblogged this on SeaSun Vacation Rentals.